The book is set in Northumbria. The girls’ father is a farmer and they live on a busy farm. Sally has been hurt in a car accident. There has been some damage to her spine and she is unable to walk. A keen rider before the accident, she is now confined to bed, unable to get about except in a wheelchair and unable to ride her pony Ferdinand. Molly, her younger sister is miserable at the thought of her sister’s predicament. But then Old Tom, a friendly old farm worker, hints that there may be a way to help Sally. He tells Molly to go to the local pits on her next ride. There she finds a field of retired pit ponies. When she sees them, Molly thinks she knows what was in Tom’s mind. She remembers seeing an old cart lying around on the farm and one of these ponies could pull it. Perhaps Sally would be able to get around that way! One of the ponies, a grey gelding, takes her eye and she arranges to buy him if her father agrees to the plan. Soon the little grey pony is installed at the farm and the cart is cleaned up. Sally takes to the idea straight away. She finds a sense of freedom in being able to travel in the cart and she soon bonds with the loveable little pony whom she names Greyboy. She even learns to catch the pony and harness him herself. 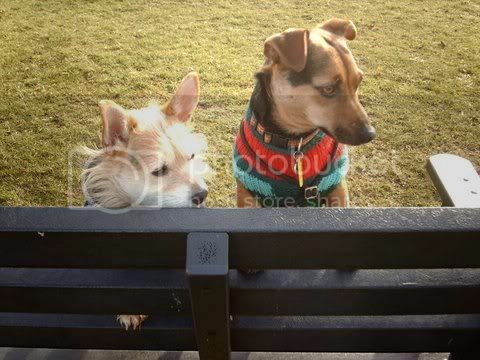 Molly and her friend Jennifer have arranged to go on a camping and riding holiday at nearby Hadrian’s Wall. Sally manages to persuade her parents to let her go with them. There they meet a nice Scottish boy, Jock, and Sally also makes friends with a builder who is working on a fort. However when the girl’s riding ponies disappear, it is suspected they have been stolen by gipsies. Sally and Jock take Greyboy and the trap to try and investigate. What happens next will change Sally’s life forever! 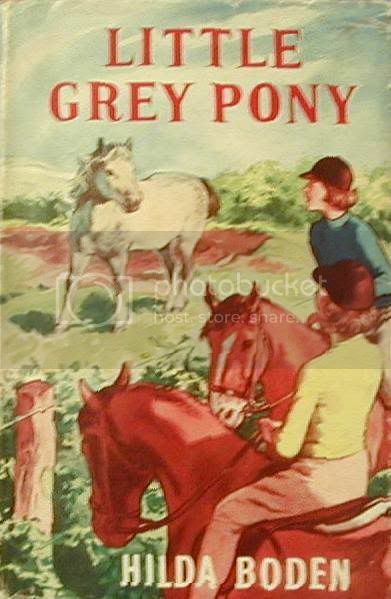 Hilda Boden was amongst the ‘second string’ of pony book authors writing in the 1950s and 60s, not as well known as the likes of the Pullein-Thompsons, Judith Berrisford or Ruby Ferguson, but nevertheless they produced some very nice pony stories. This is one of them, probably the author’s best. I have to admit before going on that I am somewhat biased toward this story. I read it so many times in my youth it has almost become part of my childhood. Also it is set close to where I live and I know many of the locations mentioned. However I will try and remain as neutral as possible in my analysis! Charming is a word which is perhaps over-used, but in this case it sums the book up perfectly. This is really comfort reading at its most basic. It does not contain any deep psychological insights, nor explore any important social issues. It is however a book which cannot fail to bring a warm glow to even the most cynical and jaded of readers. And it is he who comes up with the idea of the pony and trap, which like Cinderella’s pumpkin coach, transports Sally to a new life. Later, we also have another fairy-godfather type figure in the form of the builder Clifton who turns out to be more than he seems. But as this is a pony story it is the little grey pony Greyboy who works the real magic. Not only does he provide Sally with means of transport and independence, but he also shows to her that you can still have a deep relationship with a pony without riding it. And, in the end it is indirectly through Greyboy that Sally’s final and most important transformation comes about. This is, of course, a constant theme in pony books. But Sally’s metamorphosis is more fundamental than the usual change from hopeless rider to proficient horsewoman. The book is not the sort of pony book where riding instruction, training or competitions feature at all. While ponies are integral to the plot, it is more the relationship between pony and owner which is explored. One of the main messages the book gets across is that ponies do not have to be valuable riding ponies to be special. Greyboy is contrasted to Ferdinand, the expensive pony Sally used to ride. Although it is clear than the little grey pony does not have the looks or breeding of Ferdinand, in many ways he comes out best when compared to the other pony. Ferdinand is difficult to catch, whereas Greyboy comes willingly. Greyboy is easy to shoe whereas Ferdinand acts up when he goes to the farrier. While Ferdinand is called “a pig” and is often bad-tempered and nippy, Greyboy is helpful and sweet-tempered. And near the end of the book when a man disparages Greyboy she says unthinkingly, “He’s the nicest pony I know,” and realises it is the truth. The backdrop of the Northumbrian countryside and in particular the Roman Wall is interesting and provides a slightly different backdrop to the normal pony novel. The descriptions of the wall are interesting and as someone who lives nearby and has visited it many times, are fairly accurate. I do recognise some of the places described. The character of Clifton, the builder, although part of the later plot, also acts as a guide to the wall for both Sally and the reader as he tells us about Roman forts, building techniques and the like: a much more interesting way to give information than just a straight forward description. There are flaws in the book. The ending, although satisfying, is far-fetched, and this is what makes it more of a fairy story than realistic pony book. The character of Jock is rather overdone with its stereotyped Scottish accent and cries of “hoots” (I have met several Scottish people but have never heard one utter that particular expression!) And the gipsies/stolen ponies subplot was tired even by 1960 when this was written. But in general the good points make up for these faults. I would recommend this book to anyone who would like a comforting read, slightly different from the norm, that inspires a warm fuzzy feeling in its reader. Thanks Claire...this has been on my to read pile for months (and months). Me thinks it may be staying there a while longer. Thanks Claire. I too have it but not read.... Mine doesn't have a DW so was pleased to see that. Dosen't help when we keep buying them though does it! I've just read this book. I like comfort reading so this suited me perfectly. But apart from that it was an enjoyable read and the builder explaining to the children about the Roman Wall and forts was different.